Its kinda troublesome whenever the java update itself and causing some of our custom application didn’t function correctly. 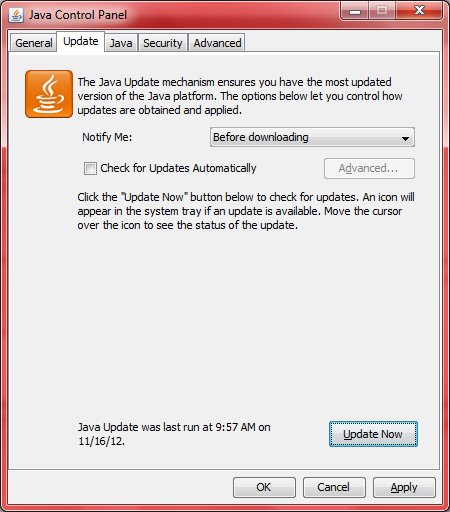 i.e some might not even able to start after the java been updated. backward compatibility for this still exist. So, once the application is up and running. It is recommended to just turn the auto Java update off. 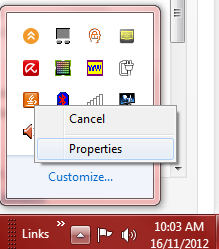 Right click on the Java icon , get to Properties. Untick the check for update. it will warn you as per following. Just click Do Not Check. However, if you wanted manually force check update . You can just click on the bottom button. Being a new user to webmin after having used Cpanel for a loooong time, this surely helped me add a cname for my maxcdn. Webmin is very complicated compared to Cpanel which makes me rethink my decision of switching to webmin. Thanks anyways.